When will Jio Fiber Launch? How to apply for Jio Fiber Broadband Connection? 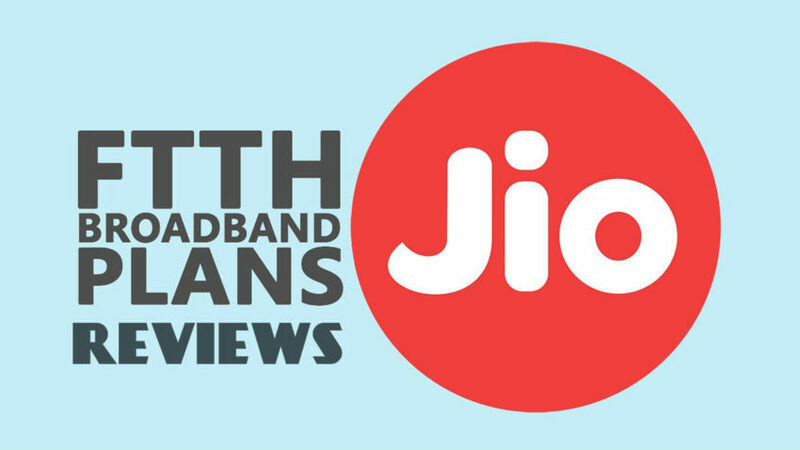 How to apply for Jio Fiber dealership or franchise? Reliance Jio Info comm Limited is owned and controlled by the Reliance Industries is becoming reliable and trustworthy with all the excellent services launched by Jio in the recent times. After launching its 4G services in 2016, now Reliance Jio is all set to launch another service for its customers which is the internet broadband service, Jio Fiber. Reliance Jio has another product up its sleeve which is Jio Fiber coming up with an ultimate internet technology letting you enjoy the digital life right from the comfort of your home. Jio Fiber is the latest product from Reliance Jio. It is an internet broadband service which promises to deliver some amazing features such as faster upload/download, high speed internet surfing, streaming, gaming, everything from the comfort of your home. 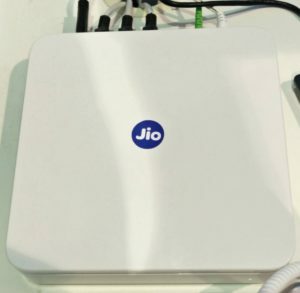 Jio Fiber router has got a landline port at the back of it but to use the internet service, users do not need to have a telephone connection. Reliance Jio will also launch Jio Fiber broadband services in the rural areas with 5MHz low band spectrum for Jio LTE. It is something not every telecom operator can think of doing, but since Reliance has always wanted to stand out, therefore, they have taken up the huge task of laying fibers across the country to make Jio Fiber functional as soon as possible. 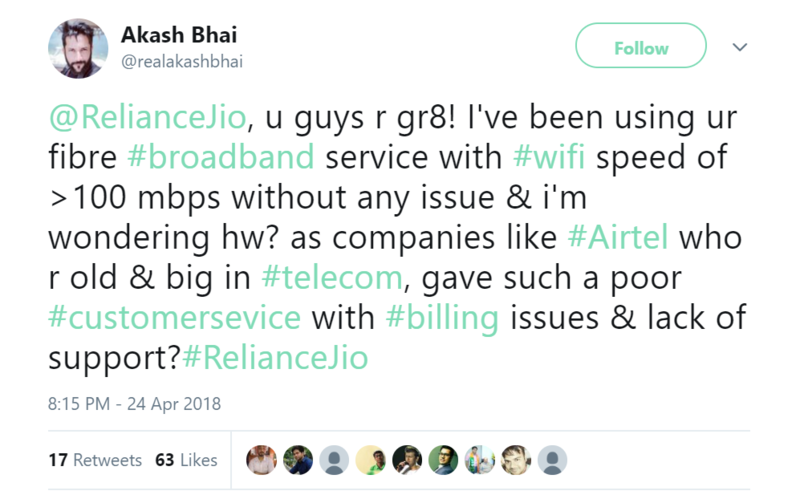 Some people might have a question in mind that “Are jio & jio broadband different firms?” The answer to this is no, these are not different firms, but actually Jio is a subsidiary of the Reliance Industries which in the past had launched services such as Jio Phone, 4G broadband, LYF smartphones and Jionet wi-fi. Users have been awaiting the official launch of Jio Fiber since the chairman of the Reliance Group, Mukesh Ambani announced about the Jio Fiber broadband service in October last year. According to few reports, Reliance Jio has started the testing of this product. Jio has planned the trial process in a way that it covers 50 million Indian households in some selected areas of Delhi-NCR, Hyderabad, Vishakhapatnam, Surat, Mumbai, Ahmedabad, Vadodara, Jaipur and Kolkata. The beta testing is going on some of these locations, when it will complete, Jio will launch its broadband services all over the country. Tier 2 and Tier 3 will include approximately 100 cities hence completing the Jio fiber broadband connection set up. The table given below shows the list of states and cities in which Jio Fiber has launched and where it is expected to launch soon. The target of creating 5 million subscribers: Reliance Jio aims to connect 5 million customers with you. This is the reason that the company will offer preview offers for the first three months. 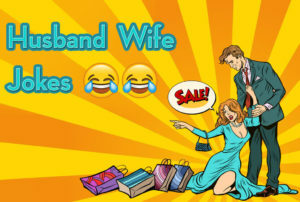 Through this offer people can be easily added. At present, BSNL is India’s number one company with more than 100 million broadband subscribers. Reliance Jio fiber broadband services have started with the preview offer which will let the customers know the worth of this much hyped broadband connection. All the information is available for how users can use the FTTH base plan and other plans running currently for the beta testing phase. When Jio will announce the official launch of the Jio Fiber broadband services, the will also release the procedure to apply for Jio Fiber. Till then, users can switch over to the free broadband plans offered by Jio. Jio Fiber has launched a Base Plan for some selected users only, preferably Jio users. With its FTTH plan, Jio is offering the customers a monthly plan with free 100 GB data with a speed of 100 Mbps. After this monthly internet pack expires, Jio broadband users can recharge 25 times per month with a top – up of 40 GB free data each time. Hence, the total free data comes to the count of 1100 GB which is equal to 1.1 TB. The FTTH broadband service by Jio is expected to take over the internet services by other providers because of its free broadband plans. 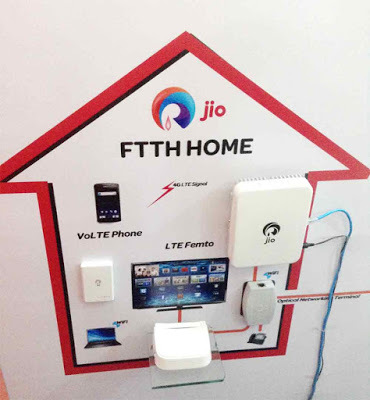 With its FTTH plan, Jio broadband services are taking the telecommunications industry by storm. The villages/small towns and cities will see the light of the day, all thanks to the Jio broadband services. 1. Reliance Jio has presented a “Preview Offer” as a part of the trial and testing process of the fiber cable network. 2. Jio is offering a free of cost internet package with 100 GB for three months each with 100 Mbps speed. This offer will also allow the Jio customers to access Jio’s premium apps and just in case, a customer had used the monthly data of 100 GB, he/she can still enjoy the ultra-high speed internet services by Jio Fiber broadband by doing a top up of 40 GB through Jio app or its official website. 3. No installation charges apply on this Preview offer, but instead security charges of ₹4500 will be taken for the Giga Hub Home Gateway device. This is a refundable deposit and must be deposited via cheque in the name of Reliance Retail Ltd. This information was actually leaked out at Reliance Jio’s website due to some technical fault and was later on was taken down by the company. The reason why this preview plan information was made unavailable is not known but it is possible that Reliance Jio might be getting ready to launch its broadband services sooner than soon and therefore, they removed the Preview Offer within no time. Price of reliance Broadband Connection will range from ₹500 to ₹5000. This includes the price of Router plus the installation charges. Check out the broadband plans that offer high speed internet services at reasonable rates. Jio Fiber will lay out the following volume based daily plans with unlimited speed. The users who have started using the three months Jio fiber preview package are finding the Jio broadband services quite good enough. So, people can switch to Jio fiber broadband, after all, no other telecom network provider has ever offered such excellent broadband plans, and going by the way Jio is expanding the fiber will mean more speed and more connectivity plus the amazing data plans. Delay in Jio Giga Fiber Broadband services: Why? Well, setting up a vast fiber cable network is not an easy task though. Till now, Jio has laid approximately three lakh kilometers of cables. They are now testing the speed and connectivity of their broadband connection. Any glitch that might cause the customers any sort of difficulty and disappointment is being looked after. Mumbai and Pune are witnessing the beta phase (testing phase) of Jio internet broadband and the time is not far when Reliance Jio will finally announce the release of Jio Fiber Broadband Connection. Right now, during the testing phase, only the Jio customers can avail the current plans or the Preview subscription offer. Anyone else, who wishes to make the most of this effective and affordable internet service, will have to wait till the time Jio Fiber is made available to the rest of the people in the country. 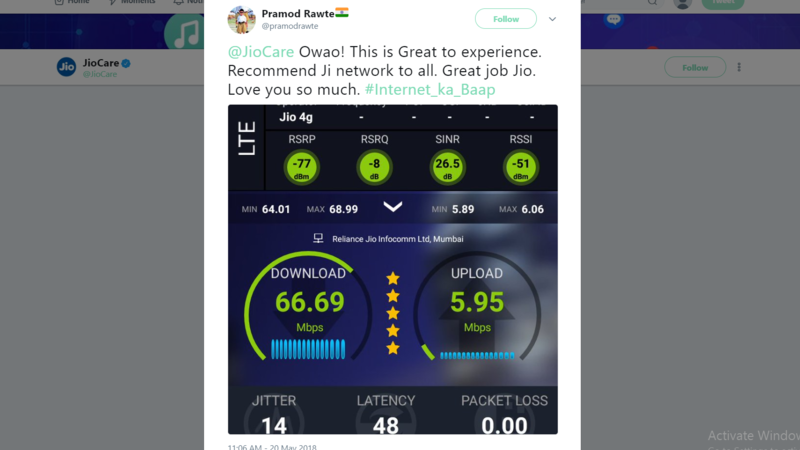 The customers who have got the opportunity to connect with Jio Fiber and avail their fastest internet broadband services have shared their reviews on Jio’s twitter handle and the word of mouth is amazing. 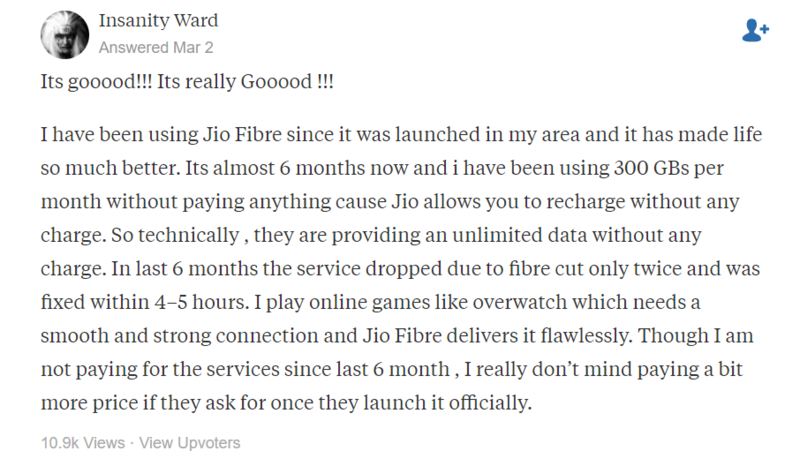 Here are few of those reviews that were shared by JIO Fiber broadband users. Jio Fiber dealership or franchise can be purchased only by some authorized dealers who sign up from the main website of Jio Fiber and make the dealership deposit. Jio fiber franchise can also be purchased from a Jio fiber retailer shop. 1. Sign up at Jio Fiber website and deposit the dealership fee. 2. Fill in all the required fields with the most authentic and true information. 3. Everyone who follows this procedure will be contacted by the Jio Fiber Customer Support Executive. A permanent address of a shop/firm with at least 270 sq. ft. of area. Storage space for keeping Jio fiber components. There are some latest updates regarding the JIO Giga Fiber launch and price to get this FTTH connection in your homes. Read the points given below to have a Jio Giga Fiber availability check in your homes. The grapevine has it that the Reliance Jio will launch the Fiber network connectivity for all the users across the country in the month of March. Though there has been no official confirmation about this commercial launch from Reliance Jio itself but there is a higher probability that users will finally get to access Jio Fiber connection this March. As per the earlier announcements, Jio Fiber was to launch in August 2018 but till now, users have been able to avail only the Preview Offer. After the FTTH services are launched by Jio, the big cities or the metropolitans will get access to it at first. Post this, the small cities and villages will get Jio fiber connectivity. Currently, it is being said that people residing in any metro city will get a final confirmation about Jio Fiber Broadband services by the end of this month. The users who want to access Jio Fiber services will have to pay a security deposit of ₹4,500 because Jio will provide such users with an extraordinary router. This router will work as a LAN phone, implying that users can call using JIO router. Users can also avail some other services using this router viz. watch TV, JioFi support on 2.4 GHz and 5 GHz. Also, the security charges of ₹4,500 are absolutely refundable. In case, any user does not want to access these FTTH services, they can ask the Jio service operators to disconnect the services immediately and all the security charges will be returned to the user via cheque or directly in their bank accounts. The JioGiga Fiber users will get to access the broadband services for free for 1 year straight. Yes there shall be no recharge required to be done for one year at least. 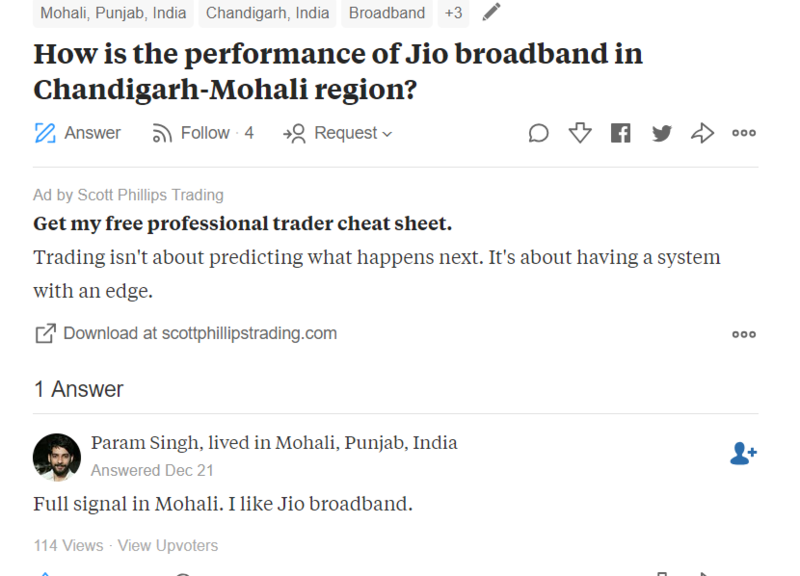 This is mainly because Reliance Jio is still in the process of launching its broadband services across the country and in order to make it accessible to everyone, Jio might need a year to do so. Users will get 300 GB data per month with a bandwidth of 100 Mbps in this free connection. Also, this free connection will depend upon the how early one gets the JioGiga Fiber connectivity. So, get your Jio Giga Fiber routers now.